1. Optimized for mobile phones / devices. Yes, it will work with iPhone, iPad, Samsung, Android, etc. 2. An updated framework/engine to take advantage of new web technologies. 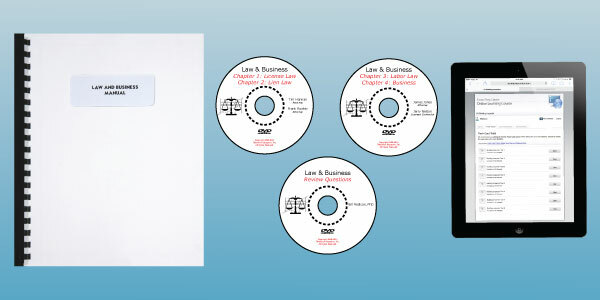 Our Law and Business Course has been completely updated and revised! We are happy to announce a newly revised edition of the Pipeline Contractor C-34 Trade course Manual and Practice Exams. Students should still listen or watch the Math Review Lecture that covers pages 3-8 of the Trade Manual. Whether you're advertising your contracting business through online listings, on TV, radio, or print, you must include your license number as part of the ad. There are still a significant number of Licensed Contractors who fail to disclose their license number when promoting themselves through advertising. Disciplinary action can be taken if this law – intended to assure the public that you operate a CSLB-licensed business – is ignored. Advertising - What Is It? You already know about advertising in newspapers, magazines and on radio and TV, but for licensed contractors advertising is more than that. Solar power continues to be one of the California construction industry's brightest stories – and one of CSLB's biggest source of complaints from consumers. Contractors who do solar work must follow contracting law and regulations during all facets of a project, whether it's negotiating price, explaining financing options, performing installations, and obtaining the required construction permits. Freedom Business School strives to have current & updated course materials and follow CSLB and update our courses as new rules and regulations become official. The number of persons trying to become HIS, particularly in the fast growing solar industry has jumped in recent years.Recognizing that application delays hurt salespersons and the contractors who hire them, CSLB sponsored legislation for a change in the law to permit a single HIS registration even when representing multiple contractors. At Freedom Business School, we are happy to announce new C-22: Asbestos Abatement Course. This course is designed to help students pass asbestos abatement exam. Business vehicles can serve as a great way to adverise your contracting services, but be sure you are following the law for displaying the information. Contractors must list their business name and contractor license number on each of their commercially registered vehicles. The name and number must be in a clearly visible location on the vehicle and the business name displayed must be identical to the name you provided on the CSLB application.